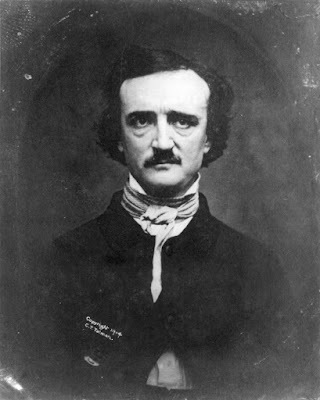 Today, Edgar Allan Poe turns 200 years old. While he was born in Boston and died (under somewhat mysterious circumstances) in Baltimore, it should really be New York that has the greatest claim on the man. In his short life, Poe produced poetry, criticism, invented detective fiction, and mastered the horror story. More about Poe in New York City will be featured in a future blog post--as well as in Inside the Apple. Also, check out this link from the New York Times's Paper Cuts blog about Poe's work.